Ikea's future-living research lab, Space10, has launched a research project into the future of co-living, One Shared House 2030.
asks members of the public to imagine a co-living community in the year 2030, defining their preferences for the type of people they wish to live with, the way the community is organised and things they would be willing to share with others. The project aims to provide information on whether co-living could offer potential solutions to current housing issues such as rapid urbanisation, loneliness and the growing global housing affordability crisis. "Our cities have never been more attractive to so many people," Space10's Guillaume Charny-Brunet said. "Yet in the context of booming urbanisation, rocketing housing prices, shrinking living spaces and increasing social disconnects, 'sharing' will be 'caring' more than ever." Co-living isn't new, but as both space and time are increasingly becoming a luxury, the concept needs a revamp. [Space10] is going on a journey to explore the potential of co-living to better the lives of city dwellers across the planet." Australia’s population is expected to grow to over 70 million in the next century and the idea of shared living spaces could provide the solution to many current housing issues. According to Ikea, high-density living and environmental pressures will drastically change the way Australians live, eat and work by the year 2100. A shared living environment is far from the traditional Australian dream of a standalone family home in the suburbs, but according to Kate Ringvall, Ikea Australia’s sustainability manager, Australia needs to be more open to the concept. Ikea's research shows that 43 per cent of Australians are still holding onto the dream of a standalone home, with only 32 per cent of people surveyed agreeing that Australia would be ready for new living scenarios that a radically increased population would create. Fifty-six per cent of people surveyed don’t believe that co-living would work in Australia, however Ringvall said change could tackle problems like housing affordability and reduce the nations carbon footprint. “Nature will feature more in our cityscapes and inside the home, we will live in smaller spaces with clever storage solutions, and our environments will be increasingly green and clean, with a focus on locally cultivated food, carbon neutrality, water, energy capture and new types of business models,” Ringvall said. 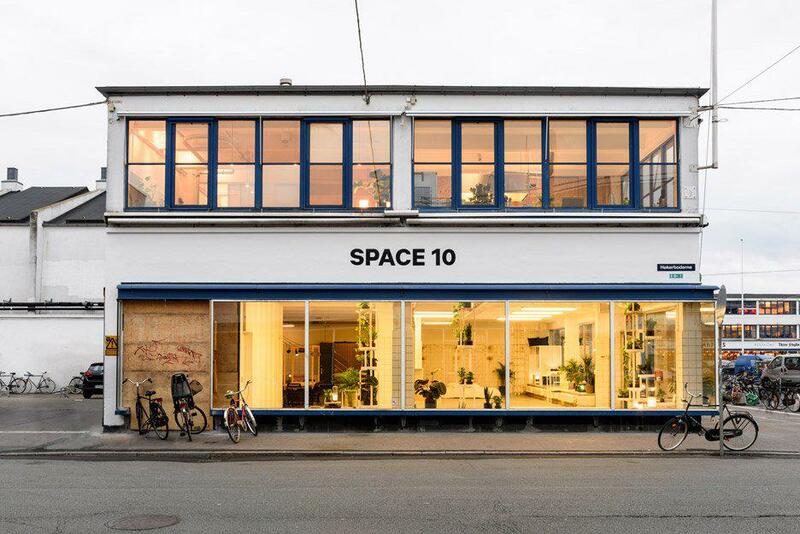 Space10's first project, Fresh Living Lab, saw the furniture giant partner with 12 designers from the Copenhagen Institute of Interaction Design. , and to participate in the co-living survey click here.